Cute Matreshka style pen holder. Made in Russia. It's about 4.5 inches tall. The seller is Russian and brought this back from the Semenov region for her last trip to visit her family. 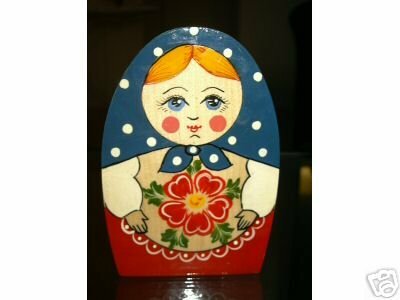 The doll features a nesting doll cutout on the front and a square pen or pencil holder box on the back.